Since 2014, YBE has offered a fresh perspective on holistic childbirth education, reaching families in the United States, Canada, Mexico, Germany, Japan and the U.S. Virgin Islands! 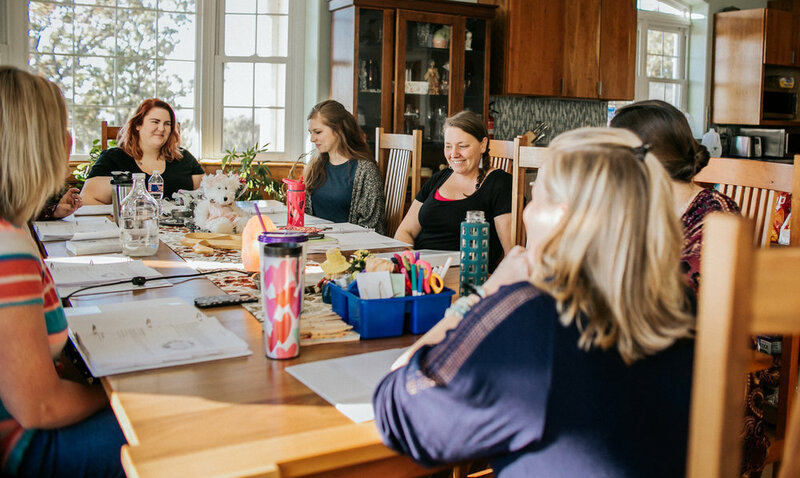 In 2017, we expanded this groundbreaking curriculum to include Breastfeeding and Baby education, as well as the YBE Equip Advanced Doula Training and the YBE Doula Training and Certification program. 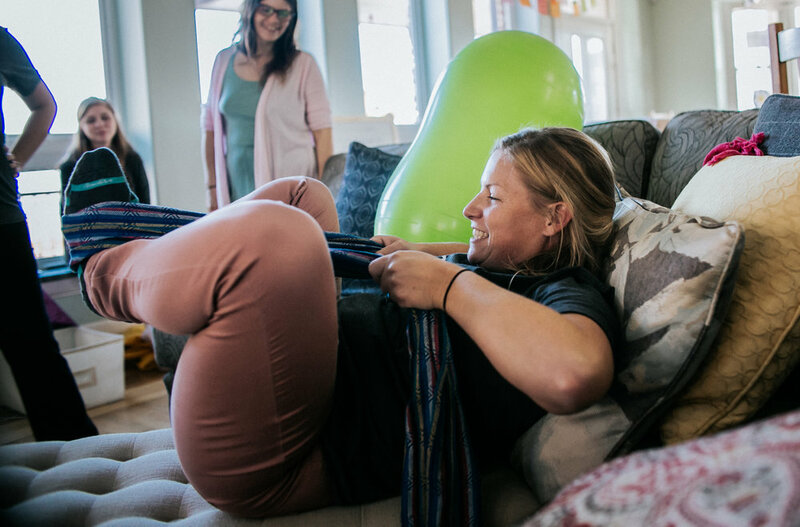 After our first YBE Doula retreat in November of 2017, we've revamped our approach even more to make this curriculum as accessible as possible to a wider audience of hungry birth professionals! 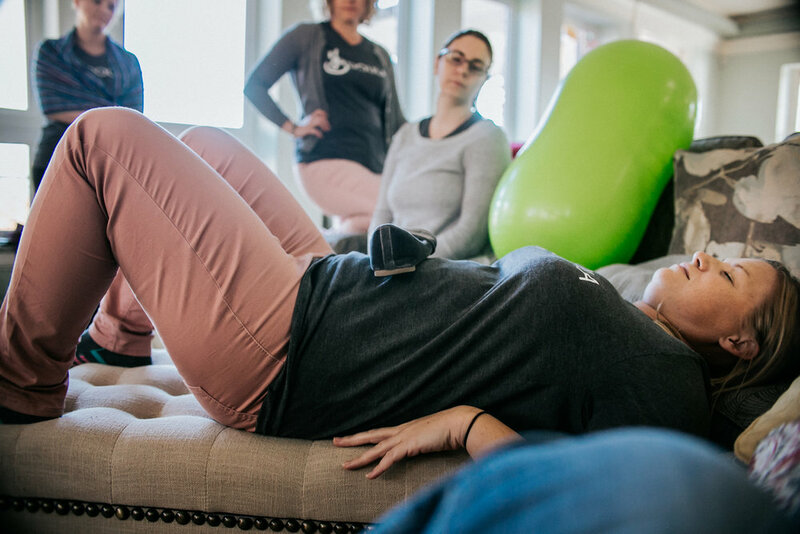 I had the privilege of attending the first ever YBE Doula Training Retreat in November of 2017. The next training is scheduled for April 2-6 with early bird prices through March 2, so once you read through, make a plan to be there! I have always felt that continuing education and furthering my skills with certifications were incredibly valuable to not only my clients, but myself. I love gathering more education and information. Not only do I thrive on accomplishing things (I mean really with this list of trainings), I love the process of discovering more about topics of which I am desperately passionate. My work has given me the opportunity to dig deeply into knowledge of the physical and informational aspects of childbirth and the birthing woman, but this work demands much more in maintenance of healthy emotions and practicing emotional maturity. That is where the YBE Doula Training Retreat comes in. Birth Professionals know their work encompasses compassion, freedom from restriction and peer-respect in maternity care, that is a given. However, they often feel stumped on how to accomplish many of the overall goals of improving birth in the face of looming statistics surrounding the birth environment. It's no secret that 1/3 of American women give birth by cesarean. Even the American Congress of Obstetricians and Gynecology encourages the Safe Prevention of the Primary Cesarean in an effort to decrease those numbers. So, in light of the reality of the given state of maternity care, how can one doula, or even a community of doulas, feel equipped to continue on with the goodness they bring to their work in what seems to be an environment deplete of hope for change? 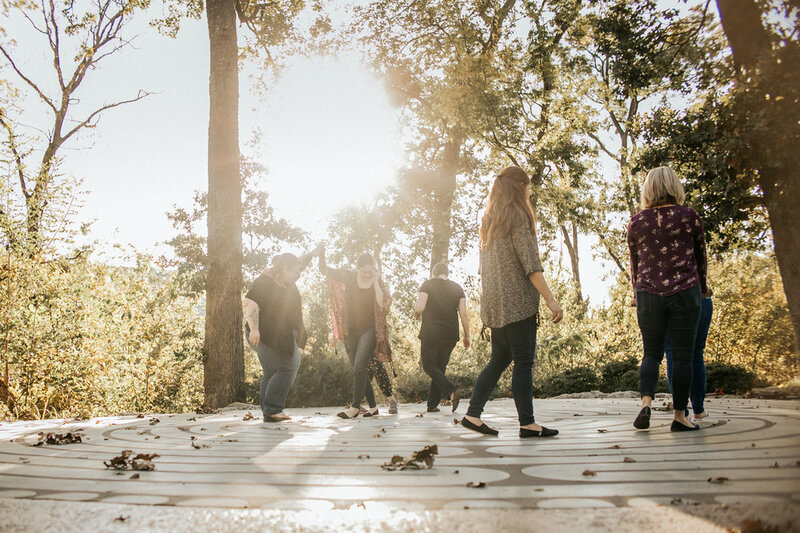 If you have ever read Stephen Covey's 7 Habit's of Highly Effective People, the process of focusing on and expanding your Circle of Influence is what starts to elicit change in your community. I've found my Circle of Influence expand exponentially by focusing on the individual client, one at a time, giving her my absolute best every time I am with her. I see her humanity, her history, her goals, and help her and her partner increase their confidence in birth and in parenting. As her doula, I CAN influence her through validation, affirmation and confirmation of who she is as an individual and how much her and her experience matters right then, in that moment. Rinse and repeat for every client, thus authentically expanding my Circle of Influence and changing the umbrella of "birth". At the same time, I know I have to be able to walk away from each and every one of those experiences and let everything go. I have to immediately parent my own children, be a partner to my spouse, work on my business and maintain my own responsibilities while pushing burn-out to the side. Easier said than done, right? Self-care is a buzzword right now in the doula community. However, making the time to take a bubble bath with candles is in no way going to be able to provide you what you need to stay in doula work long-term. Self-care is so much more than doing something nice for yourself, and it requires a great deal of effort to be done well. I have found I am able to sustain this very important work, when I make this work beneficial for my family and for the families of those working in my agency. That statement doesn't just mean beneficial financially, although that is a very real and necessary component. In order to sustain your passion and expand your Circle of Influence, to REALLY make a change in birth, emotional maturity simply must be one of your first priorities for yourself. Maturity happens through growth - we all know that. Babies mature into toddlers. Toddlers mature into teenagers, and well teenagers...they get out of that phase eventually. Our work has an incredibly high burn-out rate. A quick search online validates this with multiple anecdotal mentions in blog posts, but no scholarly articles siting clear numbers. After almost 9 years in this work, and seeing peers come and go, it begs the question, "What is missing from support, trainings and organizations that is preventing the success of birth work long-term?" This work is hard, friends. We see, feel and experience the highest of highs and lowest of lows in people's lives. We see the celebrations; the moment breath inflates lungs and the strength of the mom, the baby and the process. We also see the catastrophe of breath lost, plans changing, emergencies taking over and confidence waning underneath our own tight thoughts and moments of losing faith in the process of birth itself. 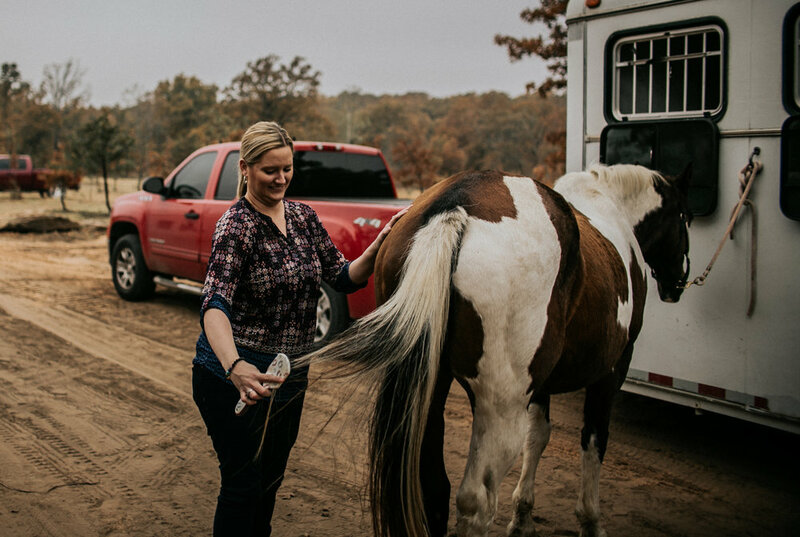 We drop everything to be whatever our clients need at a moment's notice, dismissing our own schedule, struggles, children and responsibilities. We completely enter our client's world, devoid of our own agenda, in the place they have chosen to birth, and relegate ourselves to our client's every physical and emotional need, most of which tend to go unspoken. Our attentiveness to instinct, knowing when or when not to speak, and the release of responsibility for her experience demands emotional maturity. Great. But how? 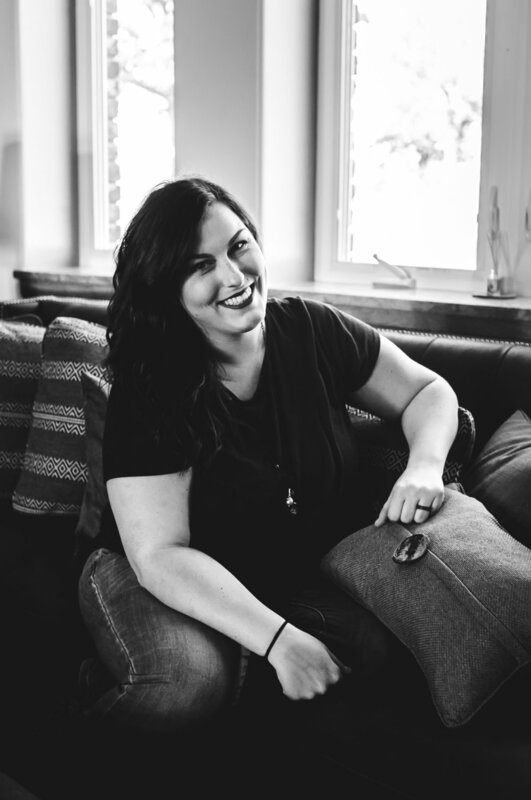 How do you learn the skills to stay and thrive in the face of hard births, frustrating statistics and the very real chance you will face the defeat of doula burnout. 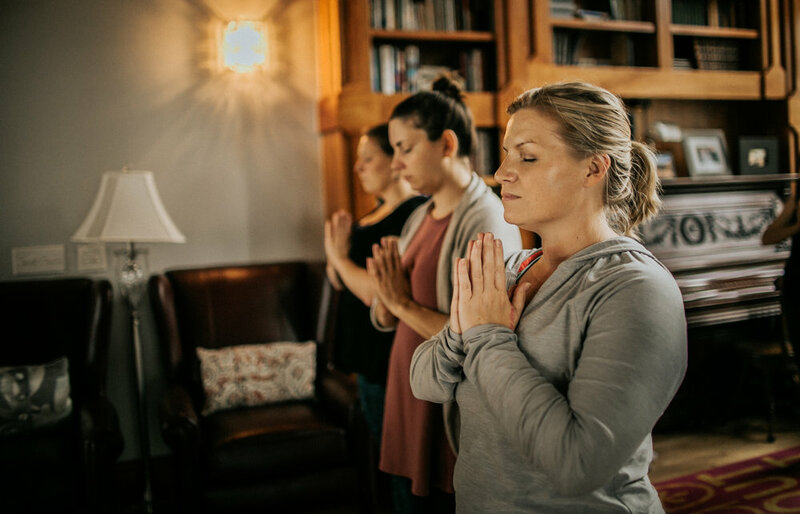 The retreat environment YBE Doula Training offers is an absolute necessity. You need a break, and so much more than can be found in a bubble bath. Although, I'm sure you could fit one in while you are here. 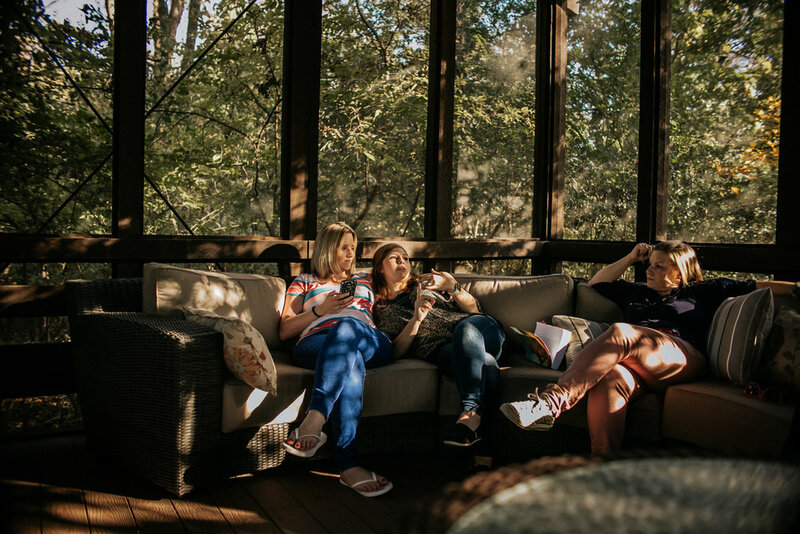 Residing in nature for those few days and immersing yourself into a training not only focused on honing your doula skills, but providing you with opportunities for personal and professional growth is incredibly valuable. 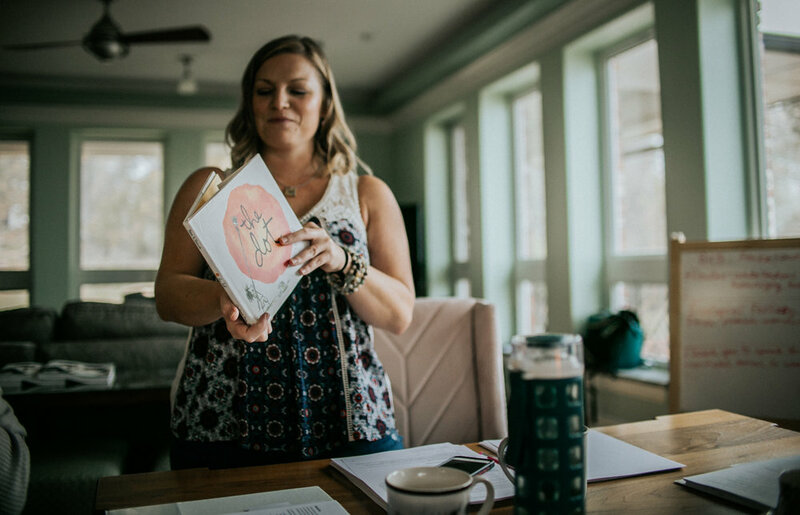 You will leave with the capacity to greatly enhance your offerings to your community through childbirth educator training, birth and postpartum doula training and effective business skills. You will be held, encouraged, stretched and believed in. 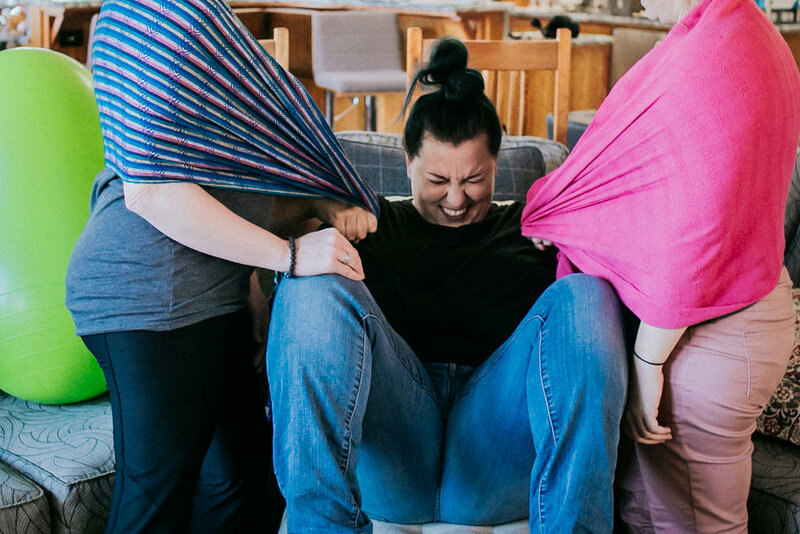 The YBE Doula Training Retreat was the culmination of over a decade worth of experience knowing that doulas deserved more holitstic training and support. 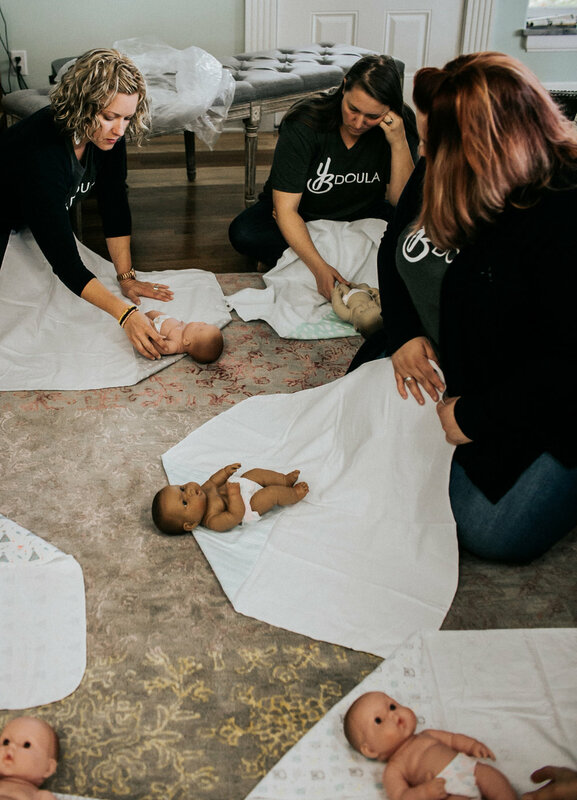 It doesn't solve the global maternity crisis, nor will it be the right training for every doula, but what it does do is reset the environment surrounding successful doulas and their work. 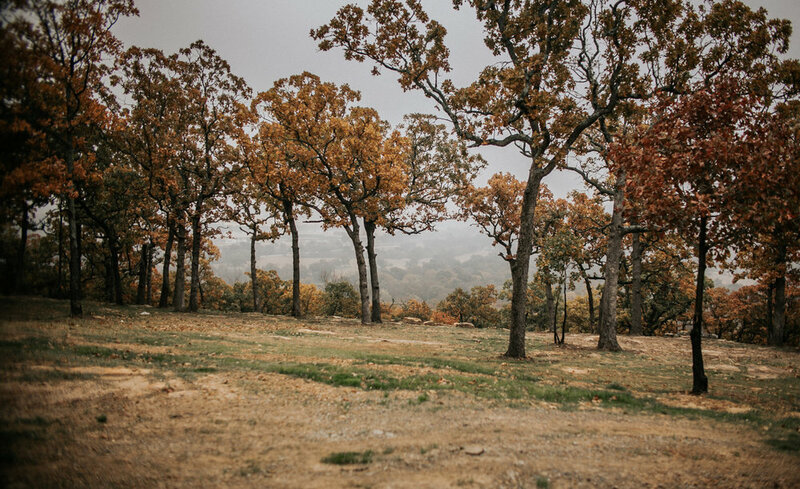 This retreat helps you become the best person YOU are, and that is what changes and sustains you in this work. Certification requirements, cost, payment plans and registration are all immediately available for you. Share this information with a fellow doula that is wondering how to start, or how to stay, in this incredibly important work. Next, take the step to nurture the holistic side of your very necessary contribution to our birth world and attend this retreat. We are thrilled to have you. 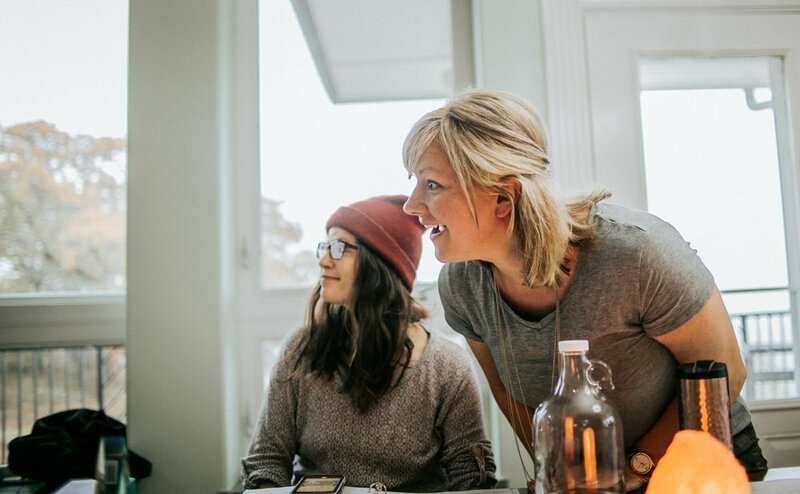 If you're researching doula training, you've probably noticed there are a LOT of organizations and training programs out there. 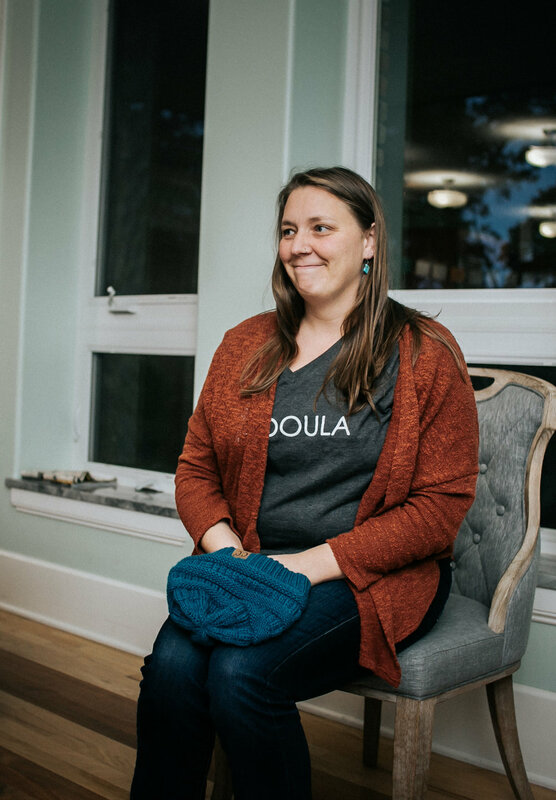 A decade ago, there were only a handful, mostly comprised of the original organizations involved in researching and establishing the doula profession; in 2017, there are dozens available, with YBE Doula Training and Certification joining the ranks. 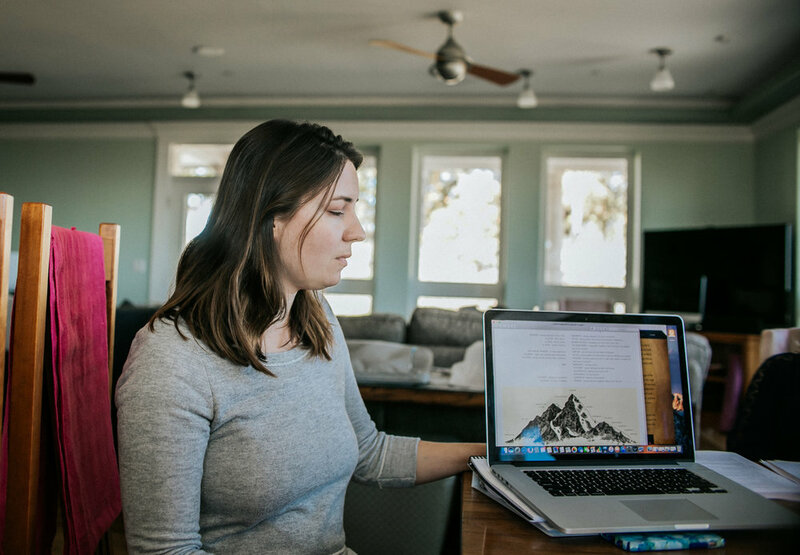 There are a variety of mindsets, philosophies, and training methods, some of which you can do completely online without even attending an in-person workshop. How on earth do you know which one is best? Have you ever created a vision board to help you reach an important goal in your life such as lose weight, reach a certain level of income or meet the love of your life? Vision Boards became wildly popularized at the height of The Secret fame and as the public became familiar with the idea of the Law of Attraction, which essentially "the idea that whatever we give a lot of attention to will become part of our lives. The theory likens us to magnets that are constantly attracting what we think about . Could this be a tool you could use to ditch your fear of childbirth and create a positive and satisfying experience? We think so! Just as clothing has evolved from fig leaves to funky leggings, and people were once convinced the world was flat, opinions and trends regarding procreation shift as well. More recently we’ve seen trends that have made a way for informed consent and refusal, evidence-based medical care, promotion of the golden hour, and now: value-based health care promoting shared decision-making. As a birth worker and adult managing ADHD, I've found myself drawn to methodical and mindful activities that require me to slow down and pay attention. It's healing to the mind that is focused on EVERYTHING ALL. THE. TIME. And the rewards of working and cultivating things are so very sweet. But as a doula and childbirth educator for a decade (I celebrate 10 years with DONA International this month! ), I find even more meaning in the patience and awareness these activities cultivate in me. Understand that the last weeks of pregnancy are a special time- an in-between. Time seems to expand and drag on. Sometimes interminably. But it’s a special time even a sacred time, this in-between. One that we tend not to appreciate as much as we could. Is infant formula a safe substitute for breast milk? What formula is best for my baby? Do I really have to boil water or sterilize bottles? What are the dos and don'ts in preparing powdered formula? 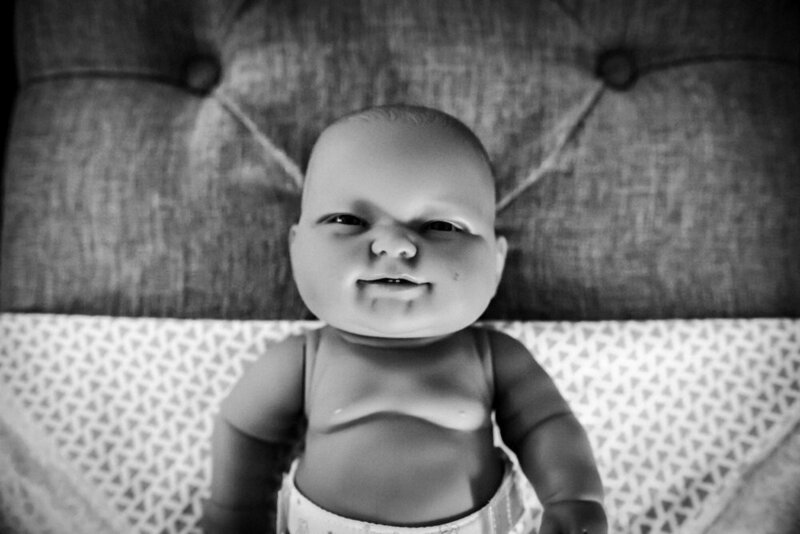 You may be reading this article because you’re concerned about safety and want to know if you are unknowingly putting your baby at risk. Maybe your knee jerk reaction is to assume you’re about to read a super judgy blog post from some know-it-all, holier-than-thou doula shaming you for your choice to supplement or cease breastfeeding. So what's the big secret about infant formula? Childbirth educators currently have quite a challenging task. According to Listening to Mothers III, only "one-third (34%) of women reported taking childbirth education classes during their recent pregnancy' . This means there are many families who receive little to no preparation for childbearing and parenting, and of the parents who do take childbirth classes, not all of them truly grasp and retain the information that could be most helpful to them. 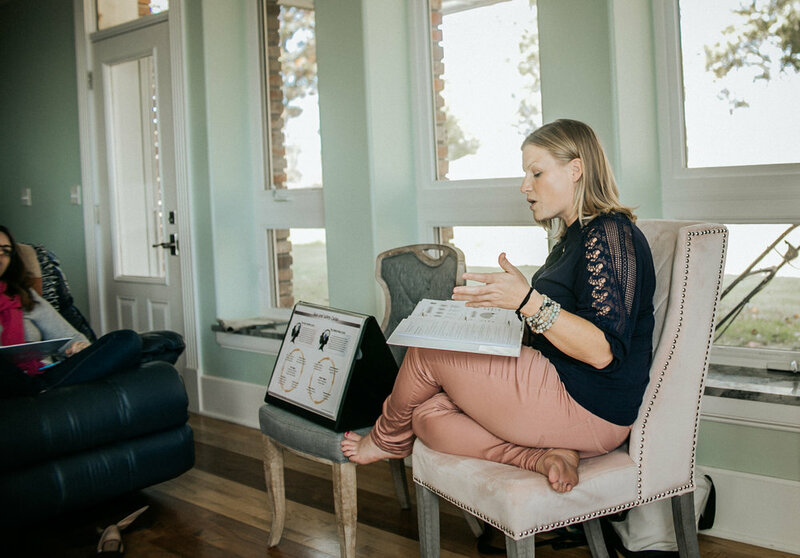 As a doula and childbirth educator with a degree in education, I can attest to the fact that HOW people learn is every bit as important as WHAT they learn. As mothers who are not childbirth experts, we depend on medical professionals and other knowledgeable sources to help guide us in making the best choices for ourselves during pregnancy and childbirth. But, in looking to others for help, are you inadvertently giving away your decision-making power? To whom does your birth belong? How will I know what to do when my baby is born? Most of us have imagined the day we would become parents from a very young age. We do so many things that seem to come naturally to us in life, like falling in love, and cultivating a desire to get pregnant and grow a family. It's like we just can't help it! But what about when the baby actually gets here? Even if you have cared for other children in your life, few of us have even held newborns until we hold our own. You may be asking yourself, "How will I know what to do when my baby is born?" There is an interesting phenomenon that happens in the world of professional childbirth work that I like to think of as the Big Sister Effect. It’s a natural thing that happens inside us as humans when people we care about experience difficult things and something inside us rises up and wants to defend and protect them. This is actually a physiological and evolutionary response that is good for the human race, and yet, it can get us into a world of hurt. 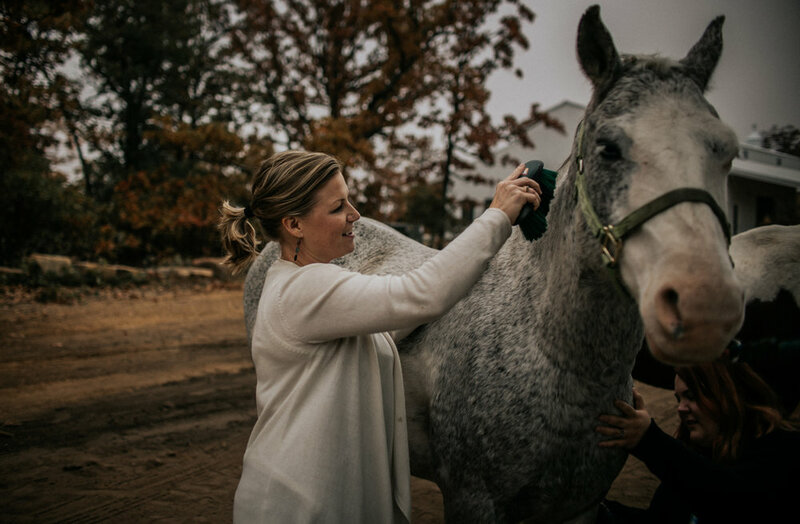 Many feel this kind of emotional attachment is unwarranted in professional doula work, and I have a different view of it. I don’t make decisions based on what my competitors think. I make decisions based on what my customers want. I am an entrepreneur; I love what I do and the people I serve. I believe that every potential customer has value and I believe I can give value to every single one of them. 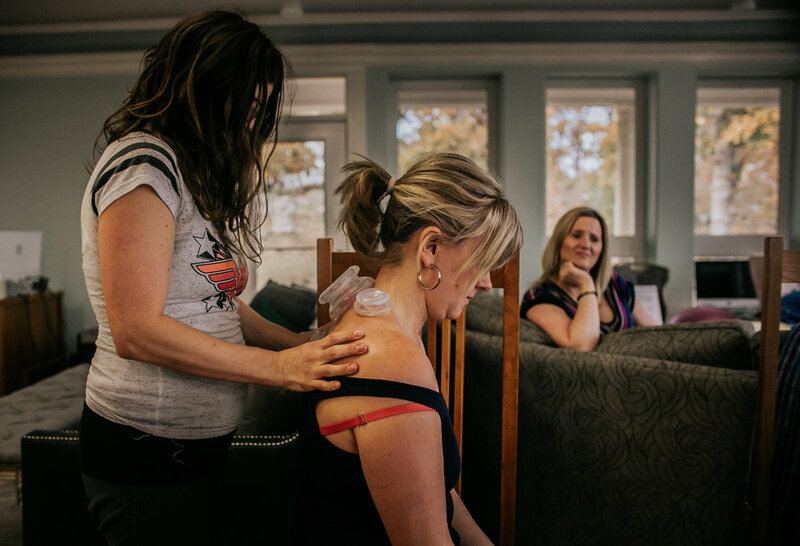 Most often, people think about the things doulas do during the actual birth such as position changes, back rubs and verbal encouragement, but the informational support is glazed over as if this act of giving information is a simple one. The truth is this: anyone whose role involves transmitting information is at some level an educator. Therefore, every doula is inherently a childbirth educator whether she realizes it or not. I believe that more women need to know about the full spectrum of maternal care when preparing for birth. Your journey to motherhood is not only about birth; it's about your story. Whatever comes, how you prepare will directly impact your entire life in big and small ways. The smartest thing you can do is prepare to be whole. The problem in choices in childbirth is they don’t make much sense if you don’t understand them. What this means in the childbirth arena is that it’s hard to decide whether or not you want something if you don’t know the risks, benefits and if, when, why, where and how it might be beneficial to you. The use of forceps might sound like a medieval torture device until you know they could save your baby’s life without the turmoil of cesarean as major abdominal surgery. When considering what kind of childbirth education you will pursue, be sure you are able to gain information about your choices in a way you can understand and assimilate into your worldview. There are as many opinions about childbirth as there are people on the planet. The truth is, there is no right and wrong in childbirth; there is only what's right for you! But just how exactly do you find out what's right for you when there are so many options? Wouldn't it be great if there was a one-size-fits-all childbirth education curriculum so you could be guaranteed that you would get just exactly what you need out of it or at least know which way to go to find what you do need? If you are a birth professional, wouldn't it be great if you had a tool that you could use with every client to help them get the results they need? Sound like unicorns and rainbows? It might not be as far from reality as you think! The most predictable thing about childbirth is its unpredictability. There are many indicators that contribute to a healthy delivery, but no one can guarantee anything. If you focus on being informed, prepared and having a positive experience, rather than a perfect one, you are more likely to set yourself up for success.